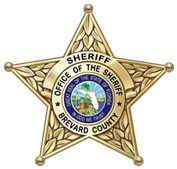 The Investigative Support Unit also provides analytical and investigative support to the other members of the Brevard County Sheriff’s Office as well as other local, state and federal agencies. or call the Communications Center at (321) 264-5100. Q: What should I look for as possible indicators of terrorist activity? Surveillance – someone recording or monitoring activities, including the use of camera (both still and video), note taking, drawing diagrams, writing on maps or using binoculars. Suspicious persons out of place – people who don’t seem to belong in the workplace, neighborhood, business establishment or anywhere else. Acquiring supplies – purchasing or stealing explosives, weapons, ammunition, uniforms, decals, flight manuals passes or badges (or the equipment to manufacture them), or other controlled items. Elicitation – anyone or any organization attempting to gain information by mail, fax, telephone, or in person about events, military operations or people. Tests of security – any attempts to measure reaction times to security breaches or to penetrate physical barriers or procedures. Dry run – putting people into position and moving them about without actually committing a terrorist act such as a bombing or kidnapping. An element of this activity could also include mapping out routes and determining the timing of traffic lights and flow. Q: Should I report suspicious persons or any of the other possible terrorist activity Indicators to my local law agency? A: Any suspicious activity should immediately be reported to your local law enforcement agency. As always, if the situation is life threatening or an emergency, call "911". License plate numbers and physical descriptions should also be obtained if possible. A report can be filed by contacting the BCSO Communications Center to report a crime or suspicious incident. Depending on the nature of the suspicious incident, an agent with the Investigative Support Unit may also be requested to respond. As with all Sheriff’s Office investigative units, the Investigative Support Unit has an agent on-call 24 hours a day, 7 days a week. Emergency – 911 / Non-Emergency – (321)264-5100. Q: What will happen to the information that I provided and can I remain anonymous? A: Agents assigned to the Investigative Support Unit will promptly and thoroughly investigate all tips or investigative leads. Information can also be given anonymously, if preferred; however, an agent can provide feedback on most cases if a contact name and telephone number are left at the time of the call. A contact name and telephone number can also be helpful to the assigned investigator if questions or clarifications need to be made on the information provided. Q: Is the information that I provide shared with federal agencies? 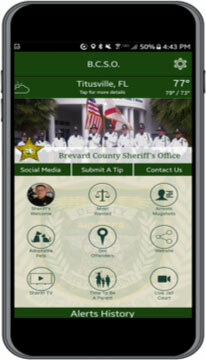 A: The Brevard County Sheriff’s Office ISU works closely with many federal and state law enforcement agencies. Information is shared between agencies on a regular basis relating to possible terrorist activities.